Dead Cells is a game that at first glance might seem like a typical indie platformer. It might seem like a normal run and jump, kill the enemies in front of you to get to the boss sort of game. Even if someone were to tell you that it was a Metroidvania roguelike game, you might think it’s just another standard example of a game in an increasingly crowded market. However, just a few minutes with Dead Cells completely removes those thoughts from your mind. Dead Cells quickly becomes a game that you want to do one more run in, only to find you’ve already spent a couple of hours playing the game. Dead Cells isn’t just a good game, it may be one the best examples of its genre. Dead Cells originally released in Early Access on PC in May 2017. After more than a year of the title being worked on in Early Access, Dead Cells has made its way onto consoles. Dead Cells is a unique game to explain. It is a Metroidvania roguelike game. Like most roguelike games, you control a character through procedurally generated dungeon crawling levels. If you fail to complete the game and die, that’s it for that character. 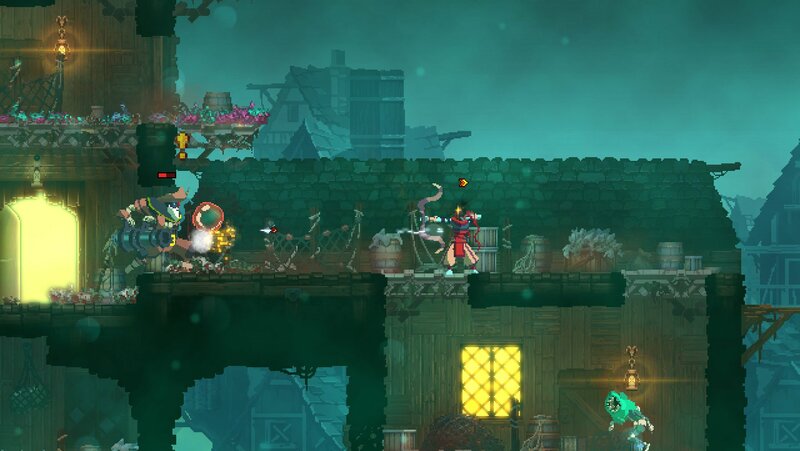 What Dead Cells then does is combine that style of gameplay with a Metroidvania. A Metroidvania is a game with a large, interconnected world that limits you, the player, from getting around to different areas, requiring you to find certain upgrades in order to advance. Dead Cells combines these two game styles together to create a highly addictive gaming experience. In Dead Cells, you play as a nameless, undead hero who must escape from the prison he finds himself in. That’s pretty much all there is to know about the game’s story, which is great, in my opinion, because of how fun the game is to play. What makes Dead Cells so much fun to play is its fast, fluid gameplay. Each time you begin your run, you have to choose a starter weapon and a secondary weapon. From there your goal is to survive and make it to the end. 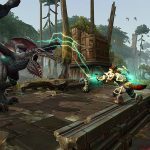 The game presents you with many different monsters and ghouls that want to kill you, and they will do so fairly easily. It only took me a few hits from enemies to die on my first go around. Like most games, it takes a few minutes to get used to your character’s movement in Dead Cells, but once you do….the game becomes too much fun to put down. I found myself having a real blast jumping, diving, rolling, and flying through areas of the game. Just moving the character was fun. Dead Cells also excels in getting you hooked in that roguelike gameplay style. Throughout the game as you progress, you find Cells, gold and sometimes even weapons and blueprints. You then can use these to improve your character’s abilities, which is absolutely necessary to beat the game. Blueprints are especially important as you will need these to build much better weapons. I personally like that it isn’t too hard to find blueprints in the game. Blueprints seem to get dropped fairly regularly, making me feel like I accomplished at least something in my current run before I died. That gameplay loop is really another area that Dead Cells excels at. Despite having many runs where I didn’t last long, it always felt like the game rewarded me for playing by dropping blueprints. I actually felt like I was moving forward in my progression, despite the fact that I kept dying to the same enemies. This brings up another excellent area that Dead Cells excels at, your own choices. Despite some insanely hard boss battles, I never truly felt like I kept dying because the game hated me. I always felt like it was my fault, whether it was because I went after too many enemies and got killed, or because I didn’t pay attention to my surroundings. My deaths were my own fault. That also meant that beating enemies and bosses felt more satisfying because it felt like I had learned how to beat them. This can be a difficult thing to accomplish in most games, making the player feel like their choices actually affected their run. Dead Cells completely nails this. All that said, Dead Cells runs into a common problem that a lot of roguelike games fall into. After playing the game for many hours, it all starts to feel like a lot more of the same. Many of the levels feel very repetitious, and at times it feels like only a supposedly new area is mainly just a color swap of an older area. There were a number of instances when I really felt like I had played this part of the game…many times. 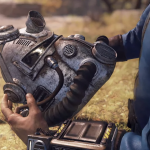 While the gameplay is excellent and weapon/blueprint pickups are common, it just feels like not too much in the game changes once you’ve played the first couple of hours. 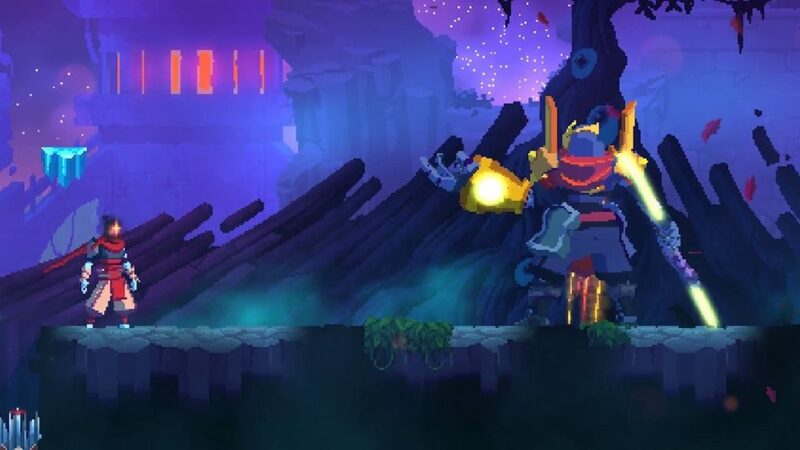 Don’t get me wrong, Dead Cells is an amazing game and one you absolutely should play. I just can’t help but wonder if a little more time could have been spent changing up the levels later on in the game. Dead Cells is one of the best roguelike games to come out in years, from its fantastic, fast, fluid gameplay, addictive gameplay loop, and gameplay that feels like the player's choices decide their outcome, Dead Cells excels at creating a game you won't want to put down. 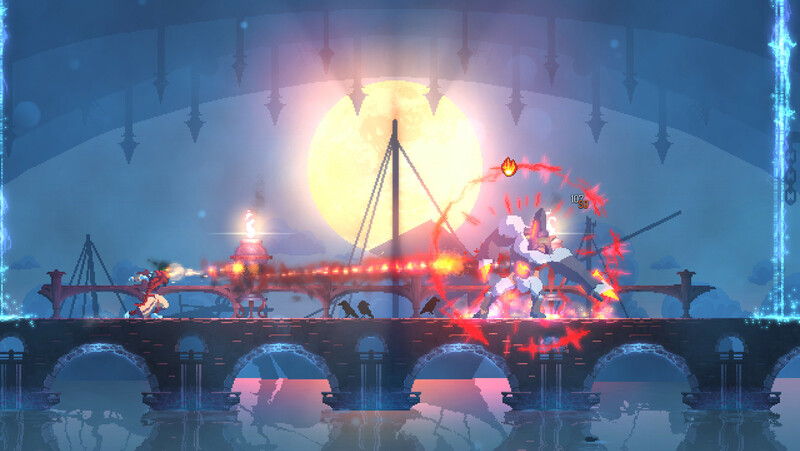 While the game will feel a bit repetitive at certain points, especially in long play sessions, Dead Cells is a game you absolutely can't afford to miss.